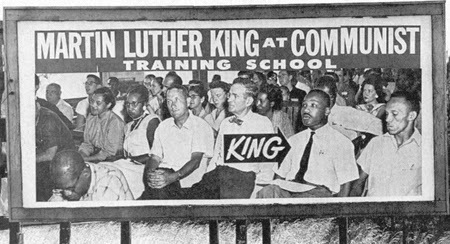 That "Communist" training school that Dr. King attended was the Highlander Folk School, sometimes called the Highlander Center, founded by Myles Horton. Horton was called the "Father of the Civil Rights Movement" by none other than James Bevel. In view of his own role in the struggle, Bevel ought to know. Rosa Parks was trained at the Highlander Center before she helped initiate the Montgomery Bus Boycott. Other subversives came around periodically, too. People like Pete Seeger. As it turns out, there is a local connection for those who call Santa Cruz County home. Bill and Karen Cane, who began a non-profit corporation called IF about forty years ago, met up with Myles Horton in Nicaragua. The Canes knew of Horton from Page Smith, a revered historian who made U.S. history come alive in his eight-volume People's History of the United States. Smith was also the first Provost of Cowell College at UCSC. According to the latest edition of Integrities, IF's quarterly magazine, "Page loved the story of how Abraham Lincoln influenced Jane Addams, and Jane Addams influenced Myles, and Myles influenced Rosa Parks (who was sent to him by Martin Luther King, Sr.). One hundred years of US History, from the freeing of the slaves to the Civil Rights Movement, Page mused, and we can trace a spirit being passed from person to person, from Abraham Lincoln all the way to Rosa Parks!" If you'd like to link yourself to the chain, you might want to sign up for IF's Latin America Dinner, which is being held on Saturday, May 16th, at 7:00 p.m. It's a benefit, with the proceedings helping to support nonviolent social change work in Mexico. You can register online, but you have to do it by May 14th. You should begin by doing something instead of just having a lot of meetings discussing something. If you have too many meetings, you will simply talk yourselves out of doing anything!